Journalist Glenn Greenwald accused his former employer, the Guardian, of falsifying the words of WikiLeaks founder Julian Assange in a report summarizing an interview he gave to La Republica. It claims that Assange, the publisher of Wikileaks, made statements in support of Russia and Trump all the while attacking Clinton. However, Greenwald pointed out in his own article that the Guardian summary of Assange’s interview is completely false. RT is joined by NYU professor of media studies, Mark Crispin Miller, to discuss this latest round of misleading media reporting. RT: What was your response to this article? Meanwhile, the Guardian article has been tweeted and reprinted and basically heralded the world over. Hundreds of thousands of people have now picked up the propaganda from the Guardian and convinced people that Assange has said these things, which were calculated to defame him, to discredit him. It is just the latest propaganda salvo in a long attempt to basically demonize Julian Assange and punish him for his inconvenient truth-telling. RT: We’re hearing the term ‘fake news’ a lot these days. Is it meant to help us to distinguish between what is true and what is false, or could there be other reasons that we’re hearing this term so much? MCM: Yes, ‘fake news’ is a serious problem, but not because of the fact that there are outlets online that post falsehoods – fringe outlets that post falsehoods – that is the claim about ‘fake news.’ ‘Fake news’ is a problem, because the corporate press itself pumps out so much of it. These claims in the Guardian are just one example among countless cases of fake news that has been successfully propagated as truth. I can’t even begin to catalogue all the nuggets of fake news that have been used to keep the war in Syria going. RT: The reporter who did the actual interview with Assange has protested that the Guardian has deliberately distorted her interview and whistleblower’s comments. Why has the press chosen to ignore this, even as they re-tweet and repost the false claims in the Guardian? 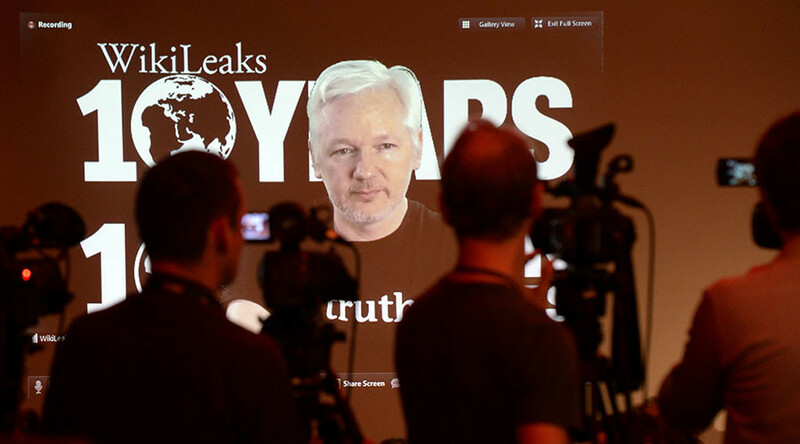 MCM: Well, why would they pay attention to her attempt to set the records straight – since what we’re talking about here is clearly a deliberate propaganda effort to defame Julian Assange and with no concern for accuracy or truth or nay of that old-fashioned stuff? Why would they mention the objections by the actual journalist who did the interview with him? It would defeat the whole purpose of this fake news effort to attack Assange and to add to the long list of attacks on him over the last few years.